← Congratulations Week 01-27-14 Giveaway Winner! Thanks so much for having me on you blog, Karen. I’m thrilled to be here! I’m a full-time writer from London (known as the Forest City), Ontario Canada. I have two grown children and two incredible grandsons. When I’m not busy with family and writing, I’m a gamer chick! A gaming junkie. Have been since the ’80s. I’m a die-hard PC gamer and known to play first-person shooters (Call of Duty: Modern Warfare 3), adventure, fantasy and RPG’s (Role Playing Games). I’ve always written since I was in grade school, mainly short stories. The first full length novel I wrote was called, Bright Big City. I was in my mid-twenties and thought the book was great! Fast forward a few decades and boy was I wrong. The story was horrible to the point I threw it out. Then when I developed Fibromyalgia in 2001, I returned to writing and it’s been the best therapy for me in dealing with chronic pain. 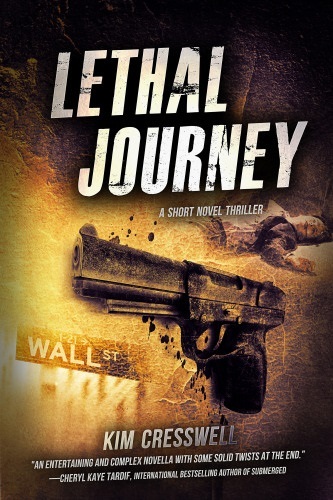 I mainly write thrillers (Lethal Journey & Reflection) because it’s a genre I enjoy reading. Who doesn’t like a good thriller, a cat and mouse chase to the death? Recently, I entered the true crime writing arena. My latest story about accused Canadian killer, Cody Legebokoff is published in Serial Killer Quarterly, a new e-magazine published by Grinning Man Press. 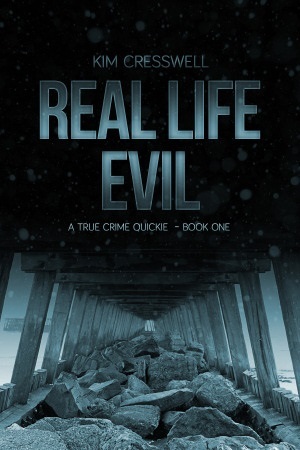 In January, I also published two true crime short stories, Real Life Evil – A True Crime Quickie (Book One). My favorite—when I’ve written the words, “The End”. The least favorite and most challenging aspect of writing for me is finishing the first draft. My internal editor will not shut off which makes me the slowest writer on earth but saves time when it comes to editing. In the end, it all probably balances out. 6. How much of yourself is hidden in the characters in your book? Quite a lot—especially in Lauren Taylor, the heroine from LETHAL JOURNEY my latest thriller release. She has my drive and strength incorporated into her character and a few more character traits. Yes! I need coffee…lots of it. I also have to music playing. For LETHAL JOURNEY, I listened to; Barry White, Bon Jovi, David Bowie, Eagles, Guns N Roses and Eminem. From the neon paradise of Las Vegas to the militant-infected jungles of Bogota, Blake must risk his life and infiltrate the cartel’s inner world and eliminate the ruthless drug lord. The price of failure is higher than ever as he’s forced to use the woman he loves as a pawn in a deadly game—where the events of the past and present collide. BE SURE TO COME BACK to read more about Kim and her release, LETHAL JOURNEY, on Wednesday’s Karen’s Killer Book Bench!! Happy Reading! Terrific interview, Kim! I really got a kick out of it. Great interview, Kim. Writing does help us when we’re stuck inside. Best of luck with your books. 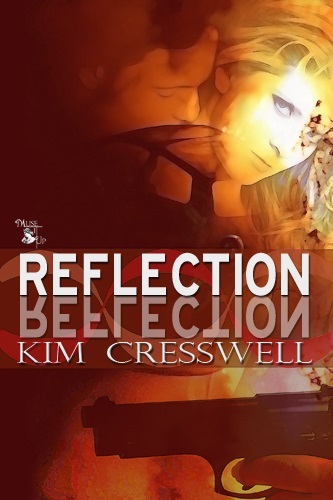 I’m waiting on your Reflection sequel.